New to Kindle and want to make the most of the eBook reader device? This page is exactly what you want. I will cover all the must-know tips and tricks for Kindle in this post, everyone can be a Kindle expert in hours. Notice: I won’t introduce those geeky or scripts things, all the tips and tricks in this post can be easily learnt by a technoob. Besides the Amazon store, we also have some free ways to get Kindle books. Below is the post of the resources list. When you read a book especially a foreign language book, there must be some words that you don’t know. Pressing on the word and hold for seconds, a box with explanation will pop up, this feature is called “Instant Lookup”, and this word will also go to your vocabulary. Besides Kindle’s built-in dictionary, you can also add other dictionaries to Kindle. I have written a post to introduce where to download English and foreign language dictionaries, how to add them to Kindle, and how to use them. In most cases, Amazon Kindle sells a book with the lowest price, but there is always exception. To save every single penny, you need a handy eBooks price comparison service. If the books are saved in your computer and you have a USB cable, then you just need to connect Kindle to computer with USB cable, and copy the books to Kindle’s “documents” folder. Notice, Kindle only accepts books in these formats: Kindle (AZW, AZW3), TXT, PDF, unprotected MOBI, PRC. If your books are saved in your computer but you don’t have a USB cable, Amazon provides several wireless ways to transfer your books to Kindle. Among those methods, you only need to figure out the email way, as it can be used on any platform, and all the books sent by email will be saved in your cloud library, which means you can access it from any Kindle or Kindle app registered with the same the account, sync the last read page, notes, highlights, etc.. There are some other tricks like using Calibre, believe me, the send with email method is the easiest and best solution. If you save books in your Dropbox, there is a free service to help you transfer books from Dropbox to Kindle. Besides books, you can also send a webpage to Kindle, send RSS feeds to Kindle, send articles saved in Pocket to Kindle, etc..
You can create and modify collections on all generations of Kindle, in the old days when we can easily jailbreak a Kindle, there are some tools and plugins can help us manage Kindle collections on computer, which makes the job much easier. As you know, the Kindle’s screen react slowly, it is not a nice experience to create a collection, input the name, add books into collection on Kindle. But now, Amazon blocked all the already-known bugs which can be used for jailbreak, so those Kindle collection management tools and plugins are not working any more, except some old generations. Amazon Cloud Collections is the service provided by Amazon, it doesn’t mean you can manage the collection over the cloud via website, it means your collections created on Kindle will be synced over cloud. You still need to create and modify collections on Kindle. This guide is suitable for Kindle E-Readers, Kindle Fire tablets, Kindle for iPhone/iPad, Kindle for Android. Because of the jailbreak problem, only Kindle 3 (the keyboard one), Kindle 4 (five-way controller), and Kindle Paperwhite with firmware version lower than 5.4.5 can use the 3rd party tool. With this tool you can manage Kindle collections from computer, which is much easier than the official Cloud Collections method. In this part, I will introduce how to make changes on Kindle books, that’s what “handle” means. First of all, you must know what is DRM and how it affects your eBook. Almost all the books purchased from Amazon Kindle store contain DRM protection, this kind of books can’t be printed or modified. So if you want to make any change on a book, like converting a Kindle book to EPUB, you need to remove the DRM at first. The most famous and popular tool is the Calibre’s DeDRM plugin, it’s free to use. Once you removed DRM from a Kindle book, then you can make changes on it. 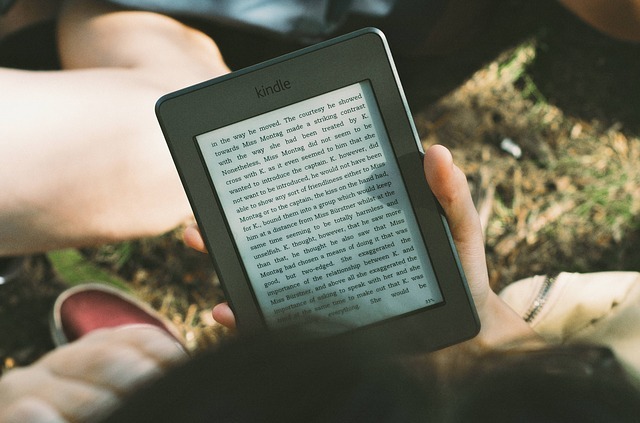 Many people buy books from Amazon but want to read them on other devices like iPad, Kobo, etc., in this situation, convert Kindle books to the format which is accepted by target device is necessary. When reading a Kindle book, you can press and hold a word or press and drag to highlight the desired text. Amazon has a detailed guide page about how to add/delete Kindle book’s highlights and notes. If you read books with Kindle E-Reader (no matter the book is purchased or sideloaded), all the highlights and notes will saved in a file called “My Clippings.txt”. Back up or print these stuff is very common in eBook lovers, so you need to export this file to computer at first. Clippings.IO is the best tool so far to organize and convert the “My Clippings.txt”, it organize all the highlights and notes with the book titles, and also help you export them to Evernote, HTML, PDF, Word and even Excel. If a book is stored in your Kindle Cloud, all the highlights and notes will be synced to your Kindle Cloud. I like this feature very much. Months ago my Kindle is freezed and I have to make it back to factory default, all books and notes are gone, I was so happy to discover they are all saved in my Kindle cloud. Firmware is the system of Kindle, it’s developed by Amazon. By updating the firmware, we can fix the bugs, improve the system stability, and what’s more, we can enjoy new features. Update Kindle’s firmware won’t affect the warranty, so I recommend you always update to the latest firmware. But if your Kindle is jailbreaked, update firmware may make your Kindle unjailbreaked. There are many sources providing Kindle firmware downloads, however, I strongly recommend you download the firmware from Amazon, that is the secure and official resource. Only if you need an old version firmware, you can find the third party sources. At the moment (July 2016), the jailbreak tool works on Kindle Touch 2, Kindle Paperwhite 2, Kindle Paperwhite 3, Kindle Voyage, Kindle Oasis. Before jailbreaking a Kindle, you need to downgrade the firmware at first. The new downgrade solution doesn’t require jailbreak, and only by downgrading to a lower firmware version, you can jailbreak a Kindle. When we talk about Kindle accessories, basically we are talking about the protective cases or covers. As a single-future device (compared to smartphone or tablet), it is not necessary to equipe a Kindle with wireless keyboard, a bluetooth speaker, etc..
A screen protector? I personally don’t recommend it. It will affect the reading experience, and if you buy a protective cover, it will protect the screen carefully, that’s enough. There are too many fragile questions from Kindle users, so I opened a Q&A (called “Ask me Questions”) program in this blog which you can find it at the top navigation. You can search in this blog at first about your question, or you can just start a new question, I will answer all of them ASAP. Below is the questions I’ve already answered.